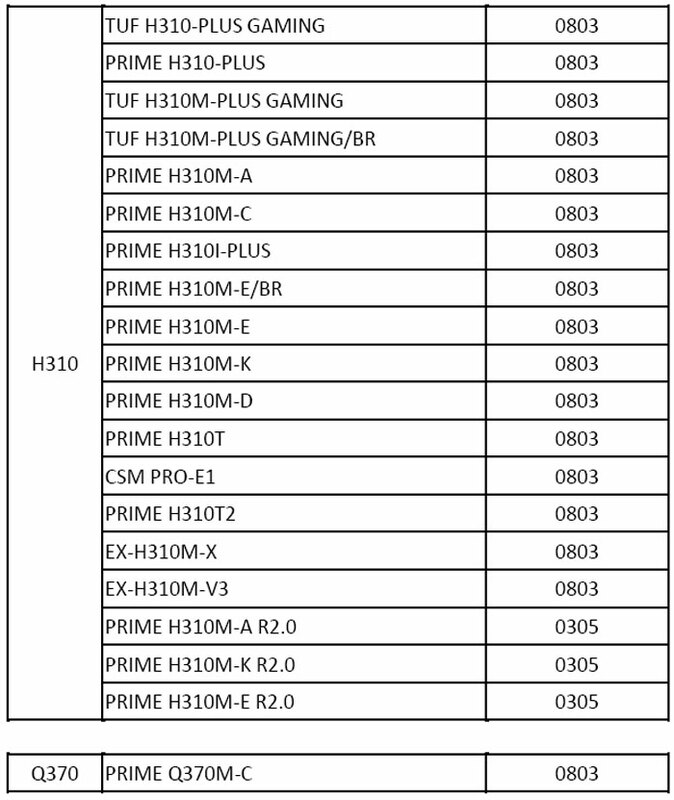 Today Asus has written to HEXUS about its BIOS upgrade programme for its extensive range of Intel 300-series chipset motherboards. 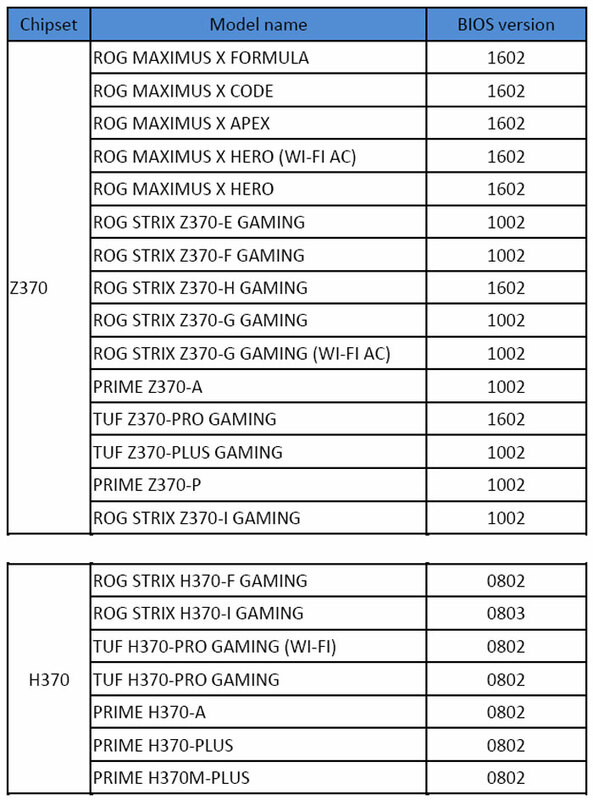 Asus PR says that customers will be able to update its entire range of 300-series motherboards with a new BIOS that "adds support for the Intel Core 9000 series processor family". 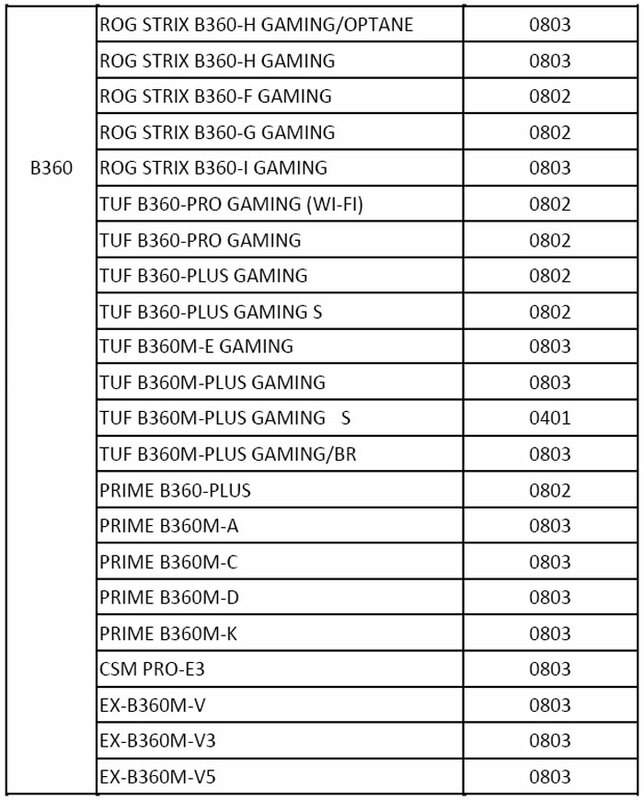 In our email Asus says that all the listed boards; 15x Z370, 7x H370, 22x B360, 19x H310, and 1x Q370 models, 64 products in total, have BIOS updates available to download now. 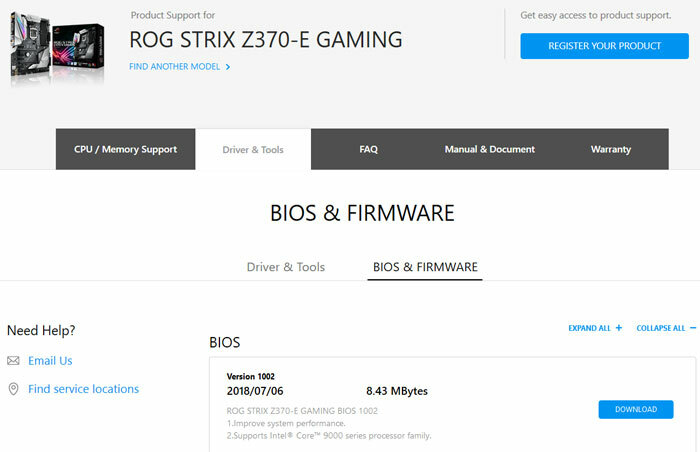 To check out the availability I 'randomly' selected the Asus Prime Z370-A and ROG Strix Z370-E GAMING motherboards, went along to the respective product pages, clicked on support > driver and tools > BIOS and firmware - and indeed BIOS updates were there, as described in the above tables. Interestingly, as well as providing Intel Core 9000 series processor family support, both the BIOS updates I checked have been updated to "improve system performance". Thus it might be worth updating even if you aren't planning to upgrade your CPU. 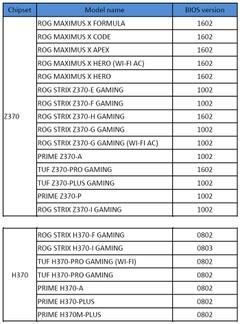 As a reminder, HEXUS reported late last week that MSI had announced new Z370 motherboard BIOS files for Intel 9000 series CPU support. It has made 15x BIOS files available to its customers. 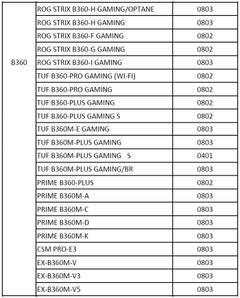 At the end of last week Gigabyte also released a complete set of BIOS updates for its Z370, H370, B360, H310 motherboards. You can head on over to this Gigabyte news release which shares the update list of 53 motherboards, with convenient clickable links directly to each board's respective downloads page. 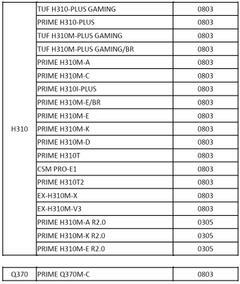 Intel Xeon W-3175X processor released, costs $2,999 MSI MPG Z390I Gaming Edge AC gains 5.6GHz DDR4 world record Nvidia teases GeForce GTX 16 series gaming laptops PC Specialist Vortex S1 Has Samsung been chosen for Intel Xe GPU manufacturing? <a href="https://hexus.net/">This website</a> is very useful site.